We now start a new season. My family returned to Birir at the end of February in order for the kids to go back to school, but they returned to winter and the eldest daughter and son were unable to get to their schools due to snow and the roads breaking. 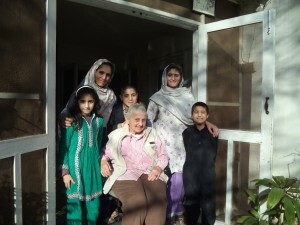 They miss their warmth here in the house in Peshawar! Although down here we are very strict with them over their homework, they love the warmth, the TV with Tom and Jerry, Urdu movies and soap operas. For those of you not familiar with Pakistan and its urban scene and the domestic setup which is required to run a house, mainly for security reasons, will not be aware of the resulting pragmatic needs. This is not the place for me to go into the fine details of this programme. Suffice to say that this demands certain staff such as chowkidar, night guards and cook. Khaista was our cook for over six years, with a break in the middle of that time frame, due to my firing him for not coming to work, especially when I was up in Birir. Their main occupation (or so we tell people) is that they spend their winter vacation studying. Khaista, like my driver and his brothers, was a Pathan, but much more relaxed and easygoing. He always had a smile, loved to joke and tease and to sing. He had a deep melodious voice and his presence always lightened the atmosphere. My family liked him and responded to his obvious affection for Javed, the youngest and naughtiest of the children. He was also tough and often landed in trouble. Once he was kidnapped and was found in a field the next day with his hands and legs tied. He doubled up as one of our night guards in the early evening. One night he left here and picked up a friend who worked nearby and belonged to his village on the outskirts of the city. They went to a wedding, gave a lift to one of the musicians, and, somewhere near Khaista’s house, the beat up old taxi Khaista ran was stopped by armed assailants. Khaista and his friend were shot dead and the musician was found some way away, also dead from a bullet wound. No one knows whether this was a chance robbery type incident, a case of enmity or as the result of an altercation at the wedding. Khaista left a daughter, a teenage son and a son just turned twenty one. Only a couple of weeks before, Khaista had discovered that his wife had a serious heart defect with which we were trying to assist him through our patient programme. 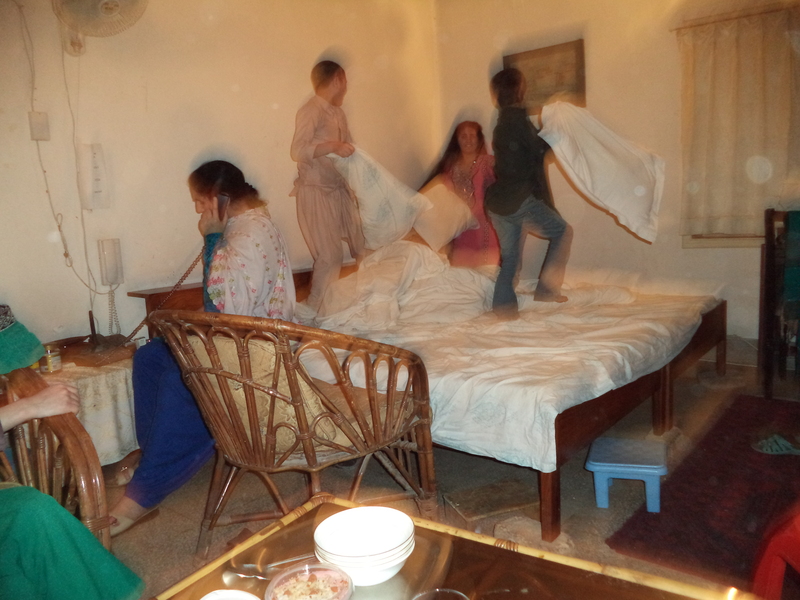 For two days, I and the family could not lead our normal lives. We were all very upset and in our minds waiting for him to come through the door with his usual smile and banter. He is sorely missed. Even the staff miss him as he had mended his ways and did not take off when he felt like it. The Khaistas of this world are the ones who keep us smiling and positive when problems surround us. The school has now been issued with a notice that it should be upgraded to Middle School which we wish to be taken over by the government. The recommendation has been written in glowing terms, so we have done our work well. Now we are hoping this will be done quickly as we only have enough money to pay the teachers’ salaries for this month. We have also been informed that the blanket order given by government for the security of ALL schools in KPK also applies to the Kalash valleys, which means we have to find nearly five lakh rupees to build a fence around the whole school premises. Keith Howman has provided a thousand pounds towards repairing our school retaining wall, and I am now going to start off our wall by building a three foot wall upon which we will erect a wooden fence. The cost will be R4,50,000 so we need another 3 lakh, approximately just under two thousand pounds. I am debating whether we should also put J-wire in the wall to make it more effective against floods. The wall will be approximately six to eight feet above the damaged protection wall. This, though, will cost more. This year, we were going to concentrate on building the computer/science lab. But this would require another 10 thousand pounds – we have £600 towards it at present and the wall will now have to take priority. Now that we have been applauded by the Govt people over the school, we need to raise the money to continue our project in spite of this notice to build a security fence. We hope that you will stay with us to see this valuable project through. This, along with the school, is the most important of our projects. We have saved a number of lives and others improved their well-being. Although we have already had a number of patients so far this year, even though it is only, the beginning of March, we have more cases to bring down to Peshawar when the weather improves (one is on her way back even as I write) including two serious cases. One is a young boy who needs an operation on his leg so he can walk properly. He has been waiting since last autumn, but I simply had no money to accommodate him before the winter set in. Now as soon as the Pass is open again, I wish to bring him and his father down. For this project, we always need funds for fuel and for food and lodgings in Peshawar as well as paying a minder to look after them in transit and while in the city. £4-5000 is an average annual cost. Since the beginning of last December, we have spent on patients £1298. Problems vary from three eye patients, one heart patient, 3 ENT patients – 2 operations needed in future due to deafness, one child specialist patient (malnutrition/asthma), one kidney patient, a fall and osteoarthritis patient. Also in regard to the patient programme, a very important issue, which those of you who keep abreast of Pakistani news, will be well aware of. Polio! If I were to come to the UK tomorrow, I should have to have a certificate saying I have been recently vaccinated against the disease. Houses everywhere in KPK have the signs scrawled on the gate that the polio teams have been here! Rubbish! Likewise, all over the valleys. I know that many are fake. I think it is very important we do a survey by a professional. I know a medical worker who was with the programme for seven years in KPK who was much applauded here for his service when others were too afraid of the Taliban to do the job. He said he would be happy to come to the valleys and do such a survey if we can pay him, as he will have to take leave from his present job of working in the OT at one of the big hospitals here. £650 will cover his salary, food and lodgings in all three valleys. It should also be mentioned that the Red Cross pulled out of the valleys end of last December, after three years. Now the people are asking us to reopen our dispensaries. I have told them it all depends on funding. Some say the dispensaries are more important than the patient programme, others say the opposite with which I would agree, but… especially in the winter time, the availability of simple medicines by our experienced dispensers go a long way to helping children especially. 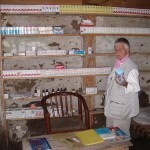 Restocking the dispensary in Birir. As far as our infrastructure is concerned, we are trying to cut costs by looking for a cheaper house/office here in Peshawar. This is extremely difficult, as the authorities will only allow us to live in the University Town area which is an expensive area, and formerly home to dozens of NGOs until they were relocated to Kabul. Only big organizations, such as UNHCR, are still in the town. Our other problem, made all the more difficult by the sad loss of Kaista is our security. Last year it was a search for a night time security guard, now we have to also think of the daytime! 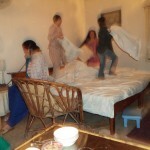 Khaista, besides doing all the cooking, also acted as daytime security wallah until eight at night. For the last couple of years, I have had a major transport problem. Anyone who has been to KPK in the last few years, will know that our roads are in an atrocious condition. Our landcruiser ended up last year with no springs, shock absorbers, engine problems, my seat broken, tires fit for the scrapheap and a problem with the gears. Unfortunately, my appeal went unheeded except for a couple of our friends who donated two hundred pounds. I have since paid from my own resources just over R7,00,000 (approx. £4,800) for a new jeep which will be a big help as after my back operation two years ago, the drive over the Lowari is not exactly pleasurable. I am also looking to replace our Corolla which we use to go to Dir, as that spends more time in the workshop than on the roads. As with all things, unless the foundation is strong, the rest will become weak and inoperable. Just to inform any new friends who may have joined us in recent months, let me here tell you what we, with our Pakistan NGO – KEPS – have achieved in recent years…..Between 2005 and the present day, we had two tourist guide training programmes, built a bridge, a large number of retaining walls, two bashali houses (where Kalash women go for their menstrual cycle), a jestakhan (temple), pathways, an irrigation channel, water tanks, water pipelines, hundreds of household latrines (communal ones bring disease), hand pump wells, mended the historic Gahiret suspension bridge, mended the Birir jeep track, we preserved a Kalash dancing ground which also serves as our school volley ball ground, had several teaching programmes, environmental with WWF, HIV awareness programme, TB awareness programme, operated a dispensary in each of the valleys supplied with our medicine, operated our patient programme of taking the sick to Chitral and serious cases to Peshawar. In 2010, after the great flood, HKCA supplied food bags for many houses in Birir and then we received 286.189 tons of food from WFP for all three valleys plus Gahiret and Shidi. Since 2011, we have been building a govt Middle and High School for girls. So far we have built two large classrooms, a large kitchen and refurbished and enlarged the community school bathrooms. Twice we have built a large protection wall against the nearby Gol flooding, and now we are building a school security wall and wish to start the computer science lab. We hope shortly that our new Middle School with twelve girl pupils will be recognized as a government school. Finally, my thanks to all who have supported HKCA and my work over the past year. 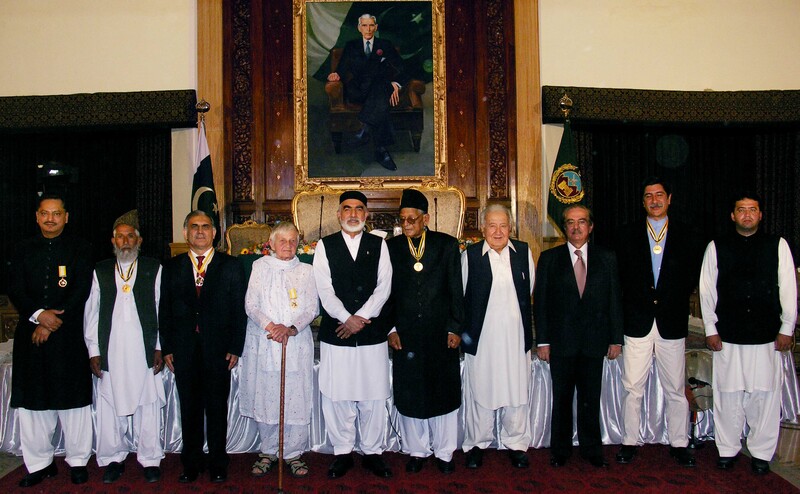 Maureen Lines, was awarded Tamgha e Imtiaz for extraordinary services in the preservation and promotion of the endangered Kalash culture. She is an Englishwoman (now a Pakistani citizen) who has made Pakistan her permanent home since the last 30 years and devoted her life for social work in the fields of environmental and natural and cultural heritage preservation in Pakistan. 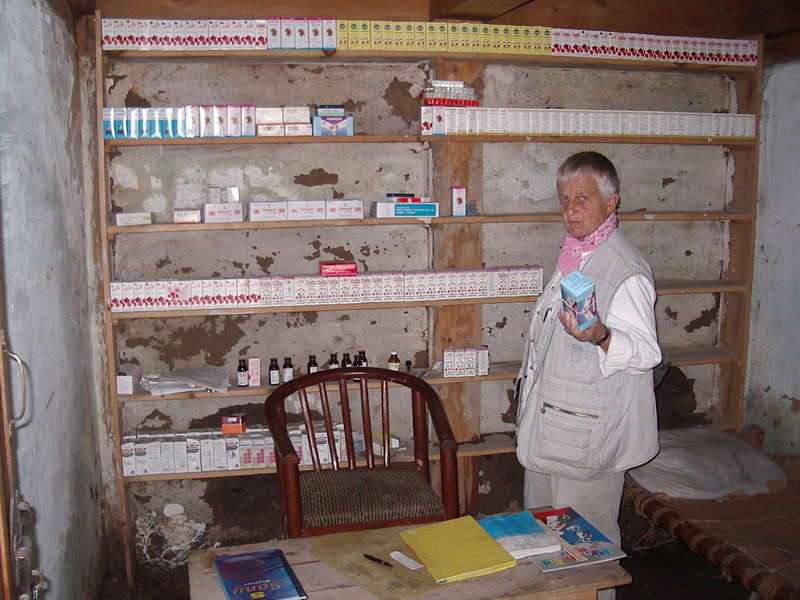 She is the author of ‘BEYOND THE NORTHWEST FRONTIER’, ‘THE KALASHA PEOPLE OF NORTH-WESTERN PAKISTAN’ and ‘JOURNEY TO JALALABAD.’ She also worked as a ‘Barefoot Doctor’ in the valley of Birir for a number of years before starting up the KALASH ENVIRONMENTAL PROTECTION SOCIETY with seven influential Pakistanis in 1993. In 1995 she started up the British charity, the HINDU KUSH CONSERVATION ASSOCIATION with Sir Nicholas Barrington, the then British High Commissioner to Pakistan, and Keith Howman, President of the World Pheasant Association.